I chuckled because one, that was a big assumption to make on why the bagger was yawning, and two, I’ve been a night owl my entire life, and while it’s certainly gotten me derisive comments, it has never held me back from achieving my business goals. In the entrepreneurial world, it’s trendy to be an early riser. How many articles have you seen that extol the benefits of waking up before everyone else? How many entrepreneurs’ morning routines have you tried to emulate in the hopes of finding that key to success? The positive view of morning larks and the negative view of night owls are deeply embedded in our work culture. One time I was working with a client who was in a time zone three hours ahead of mine. I wanted to send her an email one evening, but when I realized it was after typical working hours for her, I didn’t want to interrupt her night. So I scheduled the email to send at 8 a.m. her time, which would be 5 a.m. my time. The next day, she emailed me back, praising me for “getting up early” to take care of it. The funny thing is, would she have praised me for staying up late to take care of it? For years, I beat myself up for not being able to rise with the early birds. Last year, I challenged myself to go to bed by 11 p.m. for 40 days. Last summer, I challenged myself to wake up at 6 a.m. for two weeks. The results? Though it did feel good to be up before everyone else, I didn’t see any tangible evidence of an increase in productivity or achievements. And by the end of both of those periods, I reverted to my old night owl ways. Many of us became entrepreneurs because we wanted to live life on our own terms. By far, one of my favorite perks of being self-employed is not having to set an alarm. So why on earth would we conform to the 9-to-5 mentality of waking up early if it’s not serving our business goals? There’s good news for entrepreneurs who are night owls: You can be successful. I’m going to show you the evidence, and then give you some indispensable tips on how to make the night life work for you and your business. You want living proof that entrepreneurs who are night owls can be successful too? Check out these founders who are rocking their businesses even though they hit the sack after midnight. The founder of “the front page of the internet” told Fast Companyhe goes to bed around 2 a.m. and tries to get up by 10 a.m. Reddit raised $200 million in funding in July and is valued at $1.8 billion. Also, Ohanian made it to the Forbes 30 Under 30 list two years in a row. The founder of electric car company Tesla and aerospace manufacturer SpaceX says he goes to bed around 1 a.m. and is up by 7 a.m. Musk became a multimillionaire in his 20s, founded SpaceX in 2002, and founded Tesla in 2003. Tesla boasted $7 billion in revenue in 2016. The self-professed night owl usually goes to bed between 1:30-2:30 a.m. and wakes up around 9-9:30 a.m. Last year, Moz, the SEO consulting company turned software provider, secured $10 million in funding and was valued at $120 million. On top of that, Fishkin has co-authored SEO books and is working on another book to be released in 2018. Shah told Product Hunt he usually goes to bed between 1:30-2 a.m. and gets up about 7 hours later. Because of this, he avoids scheduling meetings before 11 a.m. HubSpot, an inbound marketing software platform, raked in $82.3 million in revenue in Q1 of 2017 and boasts more than 34,000 customers in 90 countries. Whether they’re naturally night owls or not, the truth is, many entrepreneurs who are night owls have built successful products by working late nights, proving productivity can happen in the wee hours. In his book The San Francisco Fallacy, Jonathan Siegel describes working all night to build a prototype of RightCart and then spending six weeks getting only two hours of sleep a night while he worked feverishly to bring the product to market. Within its first year, RightCart was purchased by Buy.com. So is it better to be an early riser or a night owl? Let’s look at what science says. Research widely agrees that people have different circadian rhythms that influence sleep-wake cycles, and that these rhythms can be affected by genetics. Even so, you can do things to help change your circadian rhythm. Countless studies have been conducted on the differences between early risers and night owls, and there are pros and cons to both types. You’ve likely heard the benefits of getting up early, but what about the benefits of staying up late? Here are some scientific studies that explore the matter. A study in Great Britain in the 1970s found no evidence that “early to bed and early to rise makes a man healthy, wealthy, and wise.” In fact, the researchers found that night owls “had the largest mean income and were more likely to have access to a car,” compared to morning larks. Researcher Satoshi Kanazawapored over records of traditional societies to learn more about the history of various cultures and could find no evidence that nocturnal habits were ever a norm for our ancestors (which makes sense, given the lack of artificial light and humans’ lack of night vision). Further, Kanazawa’s study looked at interviews of a large sample of young Americans and found that the higher the IQ, the later they went to bed and woke up. Another study at the University of Chicago looked at students of its top-ranked MBA program and found that the night owls scored higher on the GMAT than the early risers. Researchers also noted that the reason for this did not appear to be related to any differences in study efforts or skills. A study from the University of Liege in Belgium found that night owls were more alert and had faster reaction times 10.5 hours after waking versus early birds. While the morning and evening tests were performed at different times of day for the early birds versus the night owls, both groups had had the same amount of sleep. The morning test happened 1.5 hours after waking, and the evening test 10.5 hours after waking. The results suggest that night owls have a cognitive advantageover early birds, as long as they’re allowed to stick to their normal sleep schedule. Researchersat the Catholic University of the Sacred Heart studied 120 men and women of different ages. They categorized participants into morning, evening, and intermediate types based on a questionnaire. They then conducted three tests of creative thinking and found that the participants who were evening types scored the highest. Regardless of when you sleep, research has widely agreed on one thing: It’s important to get enough sleep. Whether you roll out of bed at 6 a.m or 12 p.m., one thing is for sure: It’s best for adults to get 7-9 hours of sleep every night. This recommendation is based on the findings of a more than two-year study conducted by the National Sleep Foundation. Of course, I want to reiterate that there are many studies on morning versus evening types, and some hold conflicting findings. The key point here is, instead of arguing over which type is “better,” if you have experimented with switching to an early-morning schedule and still find you are a night owl, you’re much better off focusing on how can you harness your late-night tendencies to create your best work. As we saw above, research suggests night owls may be more creative than early birds, but did you know we’re also most creative when we’re most tired? A study by Albion College and Michigan State University found that best time to solve “insight problems” is during “nonoptimal” times (aka when you’re most sleepy). The best time to solve “analytic problems” is when you’re most awake. So, what’s the difference? In short, an insight problem is one where you must think creatively to restructure the problem and get past a block, whereas an analytic problem is one that does not need to be restructured, and you must narrow down the options to get to the solution. As a marketer and writer, I save my analytical work, like tracking metrics and creating reports, for the first few hours after I wake up. In the late hours of the night, when I’m starting to drag, I start working on my creative projects, such as designing social media graphics or writing personal essays. We are creatures of habit. If we constantly change the time we go to bed and the time we wake up, we could throw our health and performance off track. One Harvard studyof undergraduate college students found that those who had a regular sleep schedule had higher academic performance; the interesting thing is that it was sleep regularity, not sleep duration, that made the difference. These findings may suggest that it’s fine to stay up late and get up late, as long as you have a consistent bedtime and waking time. So whether you’re getting out of bed at the crack of dawn or sleeping till noon, make sure to create a routine you can count on each day. My daily routine begins the night before, when I take pen to paper and list out the tasks I must complete the next day. Having those tasks decided before I go to bed prevents my mind from worrying over my business while I’m trying to sleep. Then when I get up the next day, I sometimes glance at the list, but I do not start any work until after my morning routine, which consists of making my bed, brewing coffee, and enjoying a breakfast of scrambled eggs before I get down to business. If you’re a late riser, scheduling tools are important to conform to the average person’s waking hours. Use an email scheduler, like Boomerang or Streak, to send emails during the times people are most likely to be checking their work email. Here’s how I schedule emails with Streak and Gmail. First, install the free Streak Chrome extension. 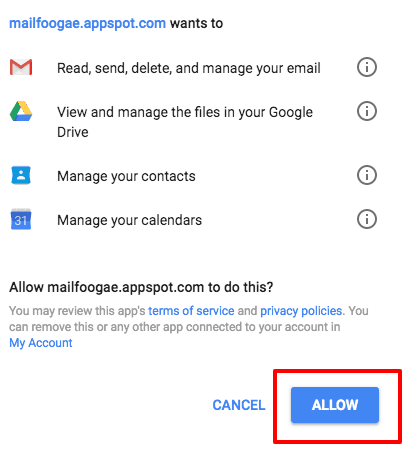 Next, authorize Streak to access your Gmail account. Now when you compose an email in Gmail, you’ll notice new buttons added by Streak. Type your email, and then click the “Send Later” button. Once your email is scheduled, it will sit in your “Drafts” folder until Streak sends it out at the appointed time. This is a great way to make sure your emails get sent at typical working hours. Waking up late still has social stigma attached to it, and people are more likely to view you as lazy. I’ve always found this strange, because entrepreneurs who are night owls work hard too—they’re just doing the work while the early birds are asleep. Even so, if you’re meeting someone in a business context, it’s best to leave out the fact you rolled out of bed at 10 a.m.
All the more reason to be an entrepreneur and set your own hours, right? The irony of forcing a change in sleep habits to increase productivity is that it can be unproductive to force ourselves to do something unnatural. So instead of fighting your propensity for staying up late, what if you could harness it to create your best work? My suggestion for entrepreneurs who are night owls is to test both strategies. Spend 30 days going to bed early. Then spend 30 days going to bed late. Which method improved your well-being? Which method helped you grow your business? Different strokes for different folks. Horses for courses. Whatever you want to call it, there’s no denying that being a night owl can lead to success just as much as being a morning lark. And remember, regardless of which camp you fall into, research has shown that you need at least 7 hours of sleep every night as an adult. So when it comes to whether it’s better to rise early or snooze late, I think it’s time we put this issue to rest. Are you a night owl entrepreneur? How has it affected how you run your business or how others treat you? Drop a comment below! That is FANTASTIC advice! Yes, not everyone falls into a category perfectly, as it’s not so black and white. Since I work for myself, I’ve learned over the years to shift certain tasks to certain times of day depending on energy level. It’s definitely helped! Love the article! I’m a night owl and have been told it was bad. Thanks for sharing a different perspective! Hello, fellow night owl! You’re most welcome. I felt the different perspective was needed. Thanks for the comment! You’re welcome, Jesse! Thanks for the comment. Let me know how the new strategy works for you! This is godsent. Truly appreciate you taking the time to write this. It has helped me understand myself better, and perhaps I can take some better designed steps forward.